The concept of National Reality TV Awards was officially launched in 2005 and after several years of development was launched in the United Kingdom at the O2 in 2011. 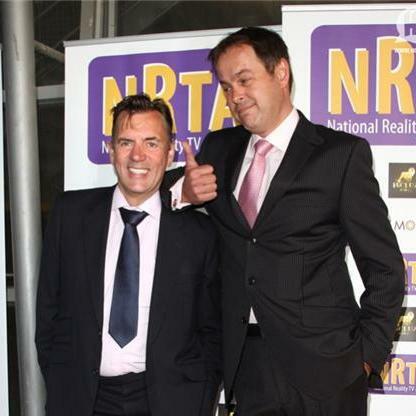 The NRTA became the first awards ceremony in the world to celebrate Reality Television as a whole and owners of all brand names Reality TV Awards and National Reality TV Awards. The NRTA (National Reality TV Awards) is currently being held in the United Kingdom and USA and syndicated to over 22 countries worldwide. The National Reality TV Academy has also re-defined and re-structured how Reality TV is perceived worldwide by introducing definitions of the different genres that make up this genre. The awards show acts as a vehicle to celebrate the achievements of the Pre/Post -Production staff and the shows plus talent that have made Reality TV the most watched genre by millions worldwide. Another type of reality program is the social experiment that produces drama, conflict, and sometimes transformation. Big Brother, launched in the UK and produced by Endemol was an example of a show that began life as a social experiment. MTV’s well known hit series, The Real World was a similar show launched several years before Big Brother were a group of strangers were put in a luxury kitted out house to leave, breathe and get on with each other. And more recently The Only Way Is Essex and Geordie Shore. Another sub-genre of reality TV is “reality competition” or so-called “reality game shows,” which follow the format of a non-tournament elimination contests. Modern game shows like Weakest Link, Greed, Who Wants to Be a Millionaire?, American Gladiators, Dog Eat Dog and Deal or No Deal also lie in a grey area: like traditional game shows (e.g., The Price Is Right, Jeopardy! ), the action takes place in an enclosed TV studio over a short period of time; however, they have higher production values and more dramatic background music. Dating-based competition shows follow a contestant choosing one out of a group of suitors. Over the course of either a single episode or an entire season, suitors are eliminated until only the contestant and the final suitor remains. More recent such shows include; Take me out, Flavour of Love and its spin-offs I Love New York, Rock of Love, and The Cougar. This genre of reality television show cover a person or group of people improving their lives. Sometimes the same group of people are covered over an entire season (as in The Swan and Celebrity Fit Club), but usually there is a new target for improvement in each episode. Despite differences in the content, the format is usually the same: first the show introduces the subjects in their current, less-than-ideal environment. Then the subjects meet with a group of experts, who give the subjects instructions on how to improve things; they offer aid and encouragement along the way. Finally, the subjects are placed back in their environment and they, along with their friends and family and the experts, appraise the changes that have occurred. Another type of reality programming features hidden cameras rolling when random passers-by encounter a staged situation. Candid Camera, which first aired on television in 1948, pioneered the format. Modern variants of this type of production include Punk’d, Trigger Happy TV, The Jamie Kennedy Experiment and Just For Laughs Gags. National Reality TV Awards UK , National Reality TV Awards USA and the brand Reality TV Awards is owned and produced annually by the National Television, Film & Arts Academy (NTFAA).The Academy was formed in June 2003 to provide support, guidance and representation to aspiring and established filmmakers, talent, and independent production companies within the Motion picture, Arts and Reality Television industry in Europe, USA, North America, South America and Africa.